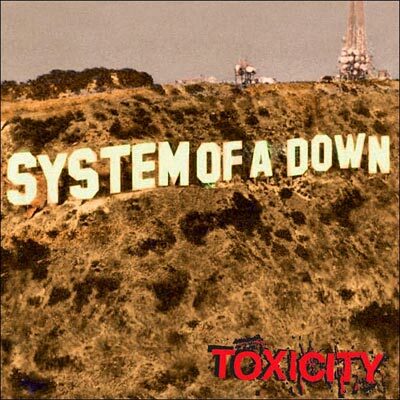 With their original sound - let's call it manic theatrical metal - System Of A Down create a memorable album full of crunch, power, life and drama. On a long set of 14 songs, Toxicity maintains a remarkably consistent level of good quality, and a high proportion of the material is memorable. Toxicity features massive chords from Daron Malakian's guitar, vocals from Serj Tankian that could belong in a grand musical theatre and that are embellished by the rare but welcome psychotic growl, and the thunderous, hyperactive drums of John Dolmayan. When the songwriting matches the talent, which is often, the results are spectacular. It's impossible to sit still as Prison Song, Needles, Chop Suey!, and Toxicity mix hypnotic melodies, high speed power, complex structures, and perfect delivery. The title song particularly captures the essence of the album, with the tireless, hyper-energetic drums and mix of softness and brutality yielding a dramatic classic. The good work continues on tracks that are all embedded with a mix of unique elements and elaborate compositions, including Deer Dance, X, Bounce, Atwa, Psycho, and Aerials. Toxicity is an inspired fountain of ideas, but the wide scope of variety all fits within the band's distinctive style. The album gives the impression that the band are having a lot of fun, and that they all suffer from a mix of genius and attention deficit hyperactive disorder of the first degree. Toxicity is a unique achievement, and one the best metal albums of the 2000's. Produced by Rick Rubin and Daron Malakian. Mixed by Andy Wallace. Engineered by David Schiffman.